Smock Design Contest - Smock. Our first Smock Design Contest for 2012 was a huge success — we were so excited to recognize the beautiful work that our amazing retailers have sent us over the past few months! Today we are thrilled to share the stunning plaques that the 10 winners of our design contest received — they were created by our talented in-house designer Lindsy Aragona and letterpress printed in Moss and Butter inks on our 2-ply white bamboo paper for a fresh look. The plaques feature elements from our ever-popular Dawson design, and Kelle McCarter hand calligraphed the names of all the winning store names onto the plaques in her Bescal style for a beautiful finishing touch. Congratulations to all of the stores that were selected as honorees! The next Smock Design Contest will take place later this year – don’t miss it! 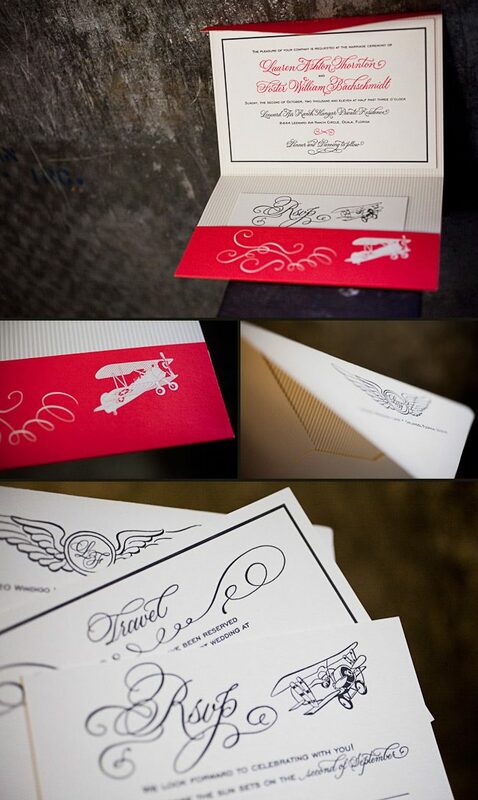 Design Contest First Place Winner: Custom Dawson Wedding Invitations from Creative Touch! Nole Garey, editor and publisher of Oh So Beautiful Paper, gave this fantastic invitation set first place in our design contest! Nole loved the texture and the playful yet elegant mix of patterns for this wedding invitation set, and we couldn’t agree more – it’s simply stunning! Danielle from Creative Touch Party Design in Palm Beach Gardens, Florida always sends us gorgeous designs, and this set is no exception. Much of the inspiration for this design was pulled from Smock’s Dawson suite, sleeve and all. Layers of dynamically designed pieces in this suite really bring it to life, and the colors of pewter and merlot give the playful patterns a little sophistication. We loved this set — congratulations, Danielle! And a huge thanks to Nole for judging the contest! This design won first place in our Smock design competition for the first half of 2012. This twice-a-year competition recognizes outstanding and inspired designs submitted by our beloved dealers. Our second place design contest winner comes to us from Shelley at /di’zain/ loft limited in the Republic of Trinidad and Tobago, a recent addition to the Smock family. The couple chose a dreamy color palette of dusty pinks and greys for their wedding, so invitations in pewter and shell inks on our white bamboo paper fit their theme perfectly and created a soft, sweet feel. 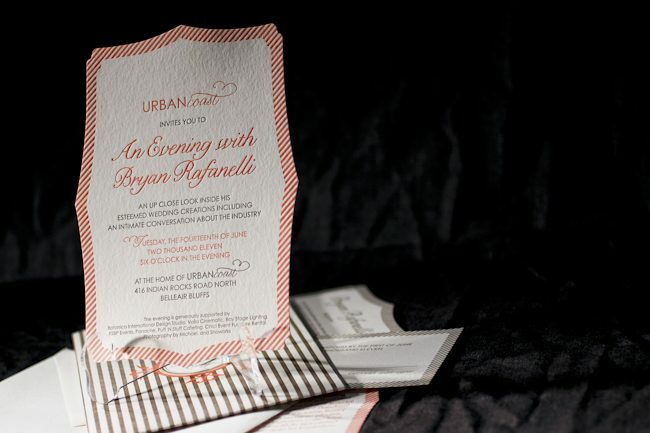 The invitation design was modeled after a vintage, “fashionably chic” handwritten love letter, which seems perfectly fitting for Clare-Ann and Joshua as they have had to experience the challenges of an overseas relationship. Shell envelope liners and a pretty script font reminiscent of elegant cursive handwriting complete the look of the invitations. Congratulations Shelley, and best wishes to the happy couple! Congratulations again to Di’zain Loft Limited for taking 2nd place in our design contest. This twice-a-year competition recognizes outstanding and inspired designs submitted by our beloved dealers. Nole, we couldn’t agree more! It’s not often we get to print letterpress invitations for galas, concerts, or charitable events, so when we do, we tend to get pretty excited. This espresso and gold invitation to the Lyric Opera’s Charitable Subscriber Concert and Dinner was extraordinary! It was, indeed, a ticketed concert (which explains the use of the pocketfold), and the invitation invited 100 of the Opera’s premier patrons to dinner and a concert. 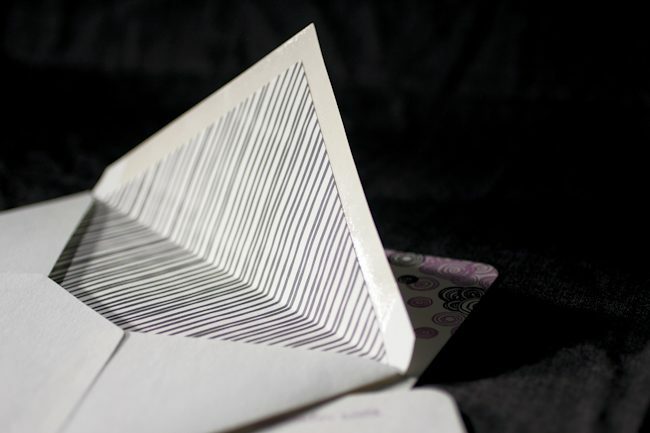 To the untrained eye, this striped, monogrammed pocketfold invitation looks beautiful and classy. 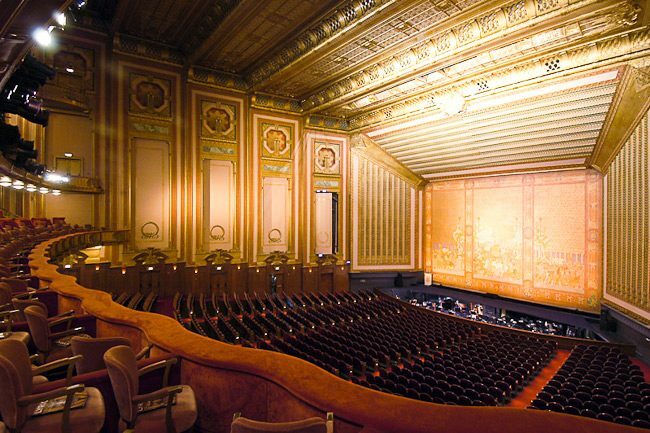 For those who spend a lot of time at Chicago’s Civic Opera House, they’ll notice graphic elements that remind them of the gilded gold walls and ceilings of that very building. 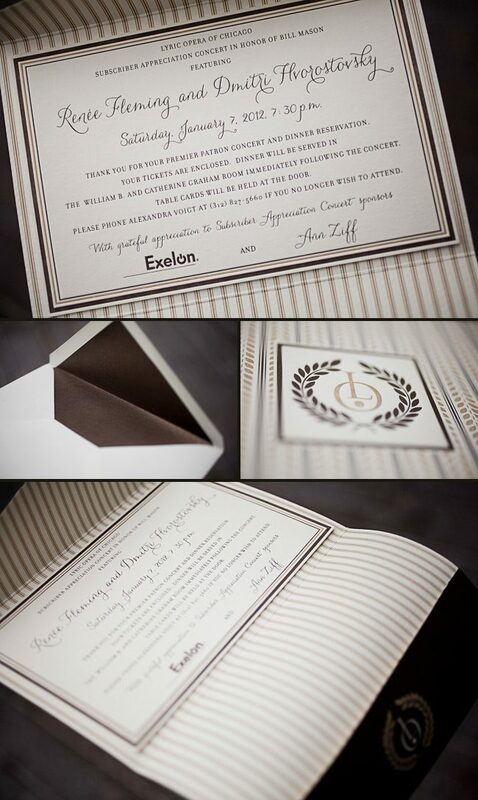 When designing the invitation, Amy at Alphagraphics used the opera’s Art Deco elements and color scheme as her guide. 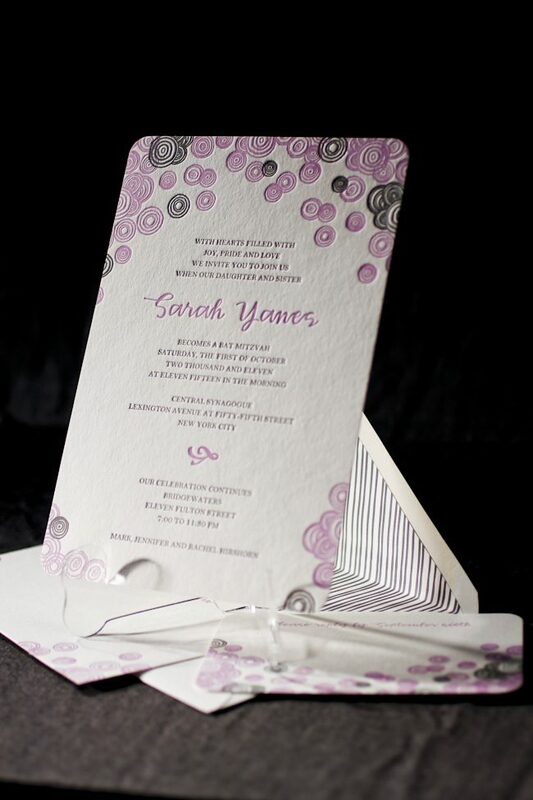 She created an invitation that was reminiscent of the old stately edifice, glamorous in its timelessness. Her work was well appreciated by all! 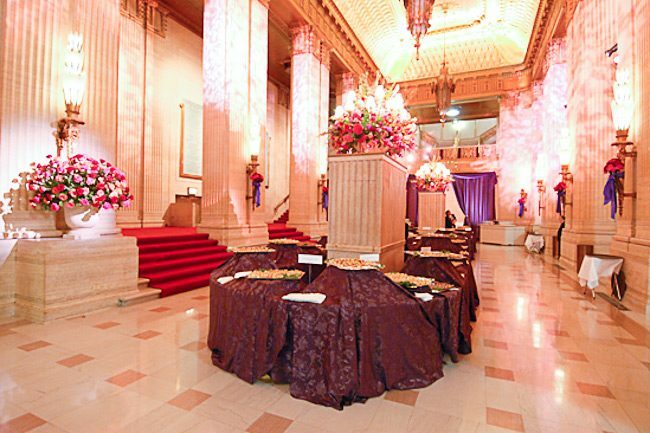 Both the Lyric Opera and the event’s attendees thought the invitation was a fantastic bidding to a wonderful evening of music and feasting. Bravo Amy, Bravo! Congratulations again to Alphagraphics for taking 3rd place in our design contest. This twice-a-year competition recognizes outstanding and inspired designs submitted by our beloved dealers. We featured these stunning letterpress invitations back in October and are thrilled to show them off one more time as a design contest honoree! This sophisticated set was sent to us by Darcy at Pearl Beach Paperie in Orlando, Florida, and features charming vintage airplanes and a rich color combination of cherry and black inks. The swirls and flourished fonts set a whimsical tone which balances the chic gold stripes printed on the folios and envelope liners. 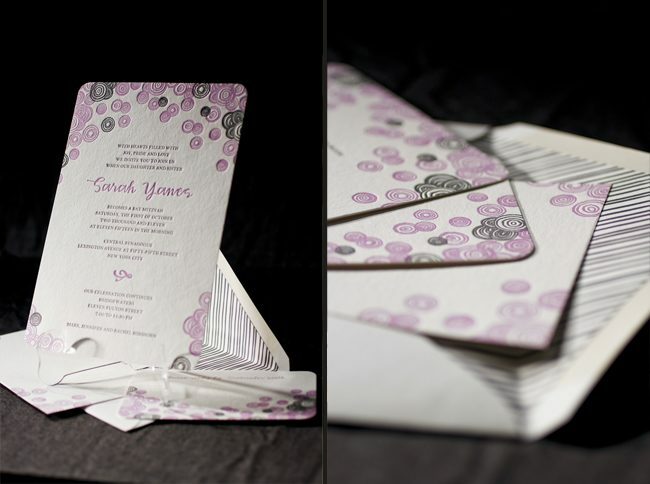 Congratulations and thank you to Pearl Beach Paperie for sending us such a lovely invitation set! Our fabulous friends at By Invitation Only in Little Rock, Arkansas submitted these custom save the dates to us for printing! We were completely blown away when we saw the end result — we knew these had to be a part of our annual design contest. These save the dates were actually printed for Paige – one of the lovely ladies at By Invitation Only. It was our pleasure to work on save the dates that just overflow with sweetness. Choosing our smaller card size (S5) is a wonderful way to help keep costs down and with this set, the smaller card really worked – since the back of the card reads small card, big party – and with letterpress on both the front and back these save the dates are so beautifully textured and without a doubt, one of a kind! 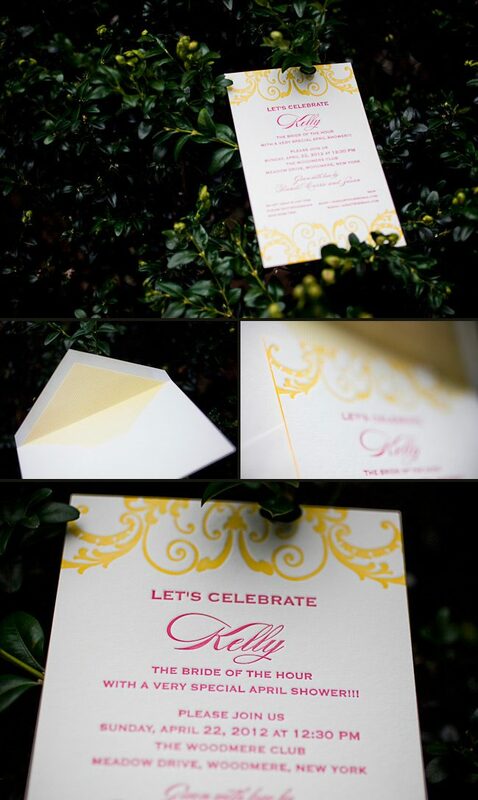 Randi, owner of the Printed Page in Atlantic Beach, New York customized a bright and beautiful bridal shower invitation for her daughter, Kelly. We often design small cards for our Smock dealers in order to display our promotions, and the card that we designed for our free envelope printing promotion just so happened to inspire Randi. Randi, congratulations to you and your daughter! 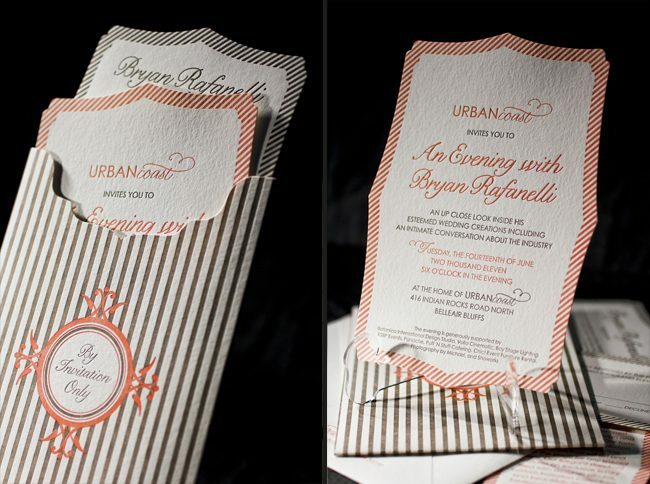 These invitations are perfect! Our latest Smock Design Contest was yet another success (THANK YOU!). We were so thrilled to see all the customizations, and the hard work from our lovely dealers certainly paid off! At this time we are pleased to show off the Smock Design Contest Winner Plaques! Designed by our talented in-house designer Lindsy Aragona, these stunning plaques are letterpressed in our rich ocean and azure inks on our 2-ply white bamboo paper. The amazing Debi Zeinert adds her gorgeous touch of hand calligraphy. We gave these plaques to our top ten winners. Our next Smock Design Contest will be featured in 2012! 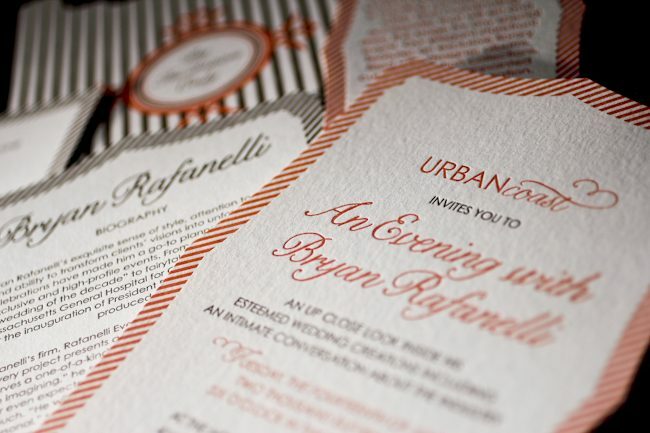 Smock Design Contest First Place Winner – Custom Letterpress Invitations from Urban Coast! CONGRATULATIONS!!! Amy Graham Stigler, Smock’s design extraordinaire and honored design contest judge, chose Urban Coast’s custom letterpress design as the FIRST PLACE WINNER!!! We couldn’t agree more. Urban Coast in Belleair Bluffs, Florida proudly hosted an event honoring Bryan Rafanelli – a renowned event planner and founder of Rafanelli Events. 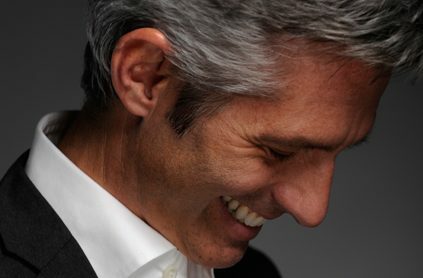 As you may know, Bryan Rafanelli’s exquisite sense of style, attention to detail and ability to transform clients’ visions into unforgettable celebrations have made him a go-to planner for the most exclusive and high-profile events. From Chelsea Clinton’s “wedding of the decade” to fairytale-themed galas for Massachusetts General Hospital for Children to celebrations for the inauguration of President Barack Obama –he has produced it all! 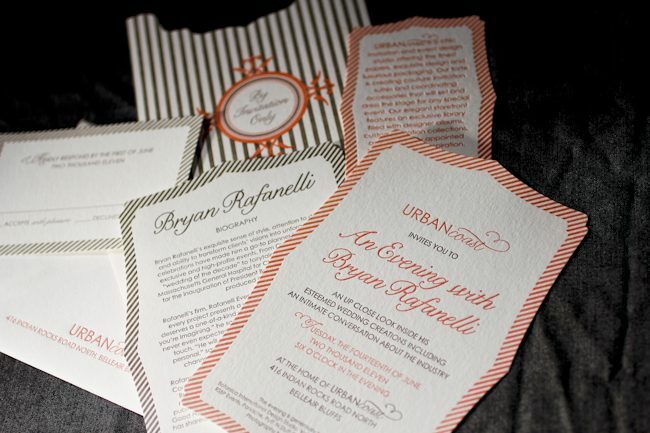 And Urban Coast chose Smock to create the beautiful letterpress invitations to this extraordinary event. WE WERE ECSTATIC!!! The design itself is incredible. Layers of bamboo paper, die-cut into Smock’s new Chesapeake shape, fill a custom letterpress sleeve. 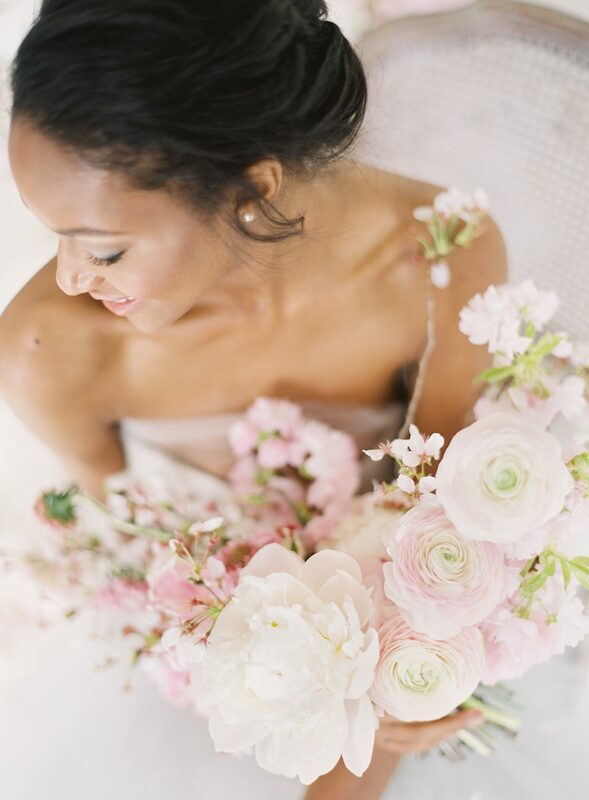 The warm summer colors of papaya and taupe feel perfect for a June event. 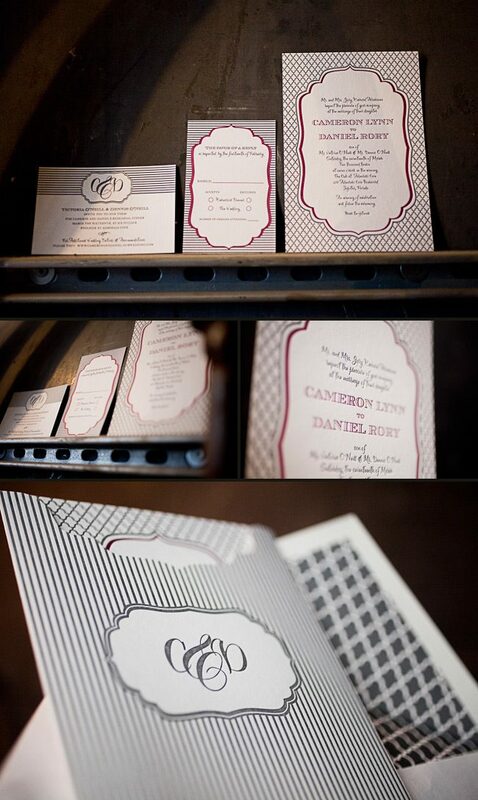 The Everett and Seneca patterns, all letterpress printed, create sophisticated textures as well. This set screams touch me, feel me, love me! Mr. Rafanelli, I hope we made you smile! This design won first place in our Smock design competition for the first half of 2011. This twice-a-year competition recognizes outstanding and inspired designs submitted by our beloved dealers. 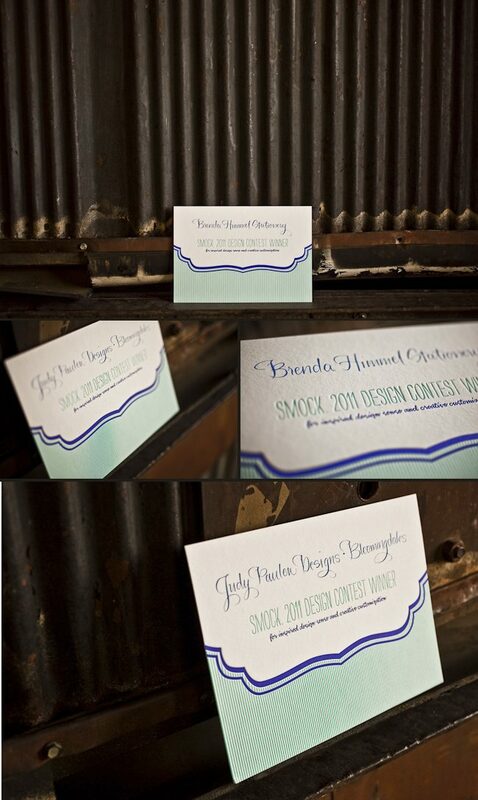 Smock Design Contest Second Place Winner – Custom Letterpress Invitations from RSVP Today! CONGRATULATIONS!!! We are proud to announce that RSVP Today in New York won second place in the Smock Design Contest for their custom letterpress Bat Mitzvah Invitation! 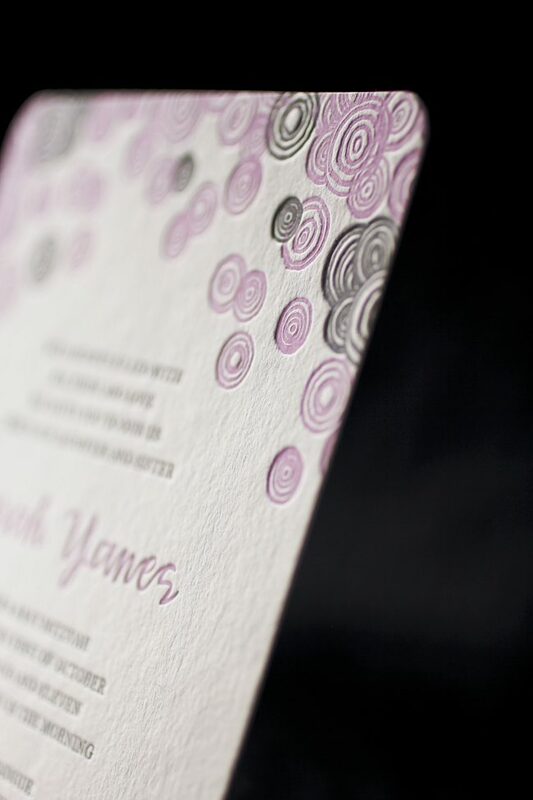 Playful, hand-drawn circles of the Piedmont design, in feminine colors of violet and pewter, really made this set come to life. Youthful, yet sophisticated – not a bad combination! Sarah, we wish you the best in all your future endeavors! Mazel Tov! This design won second place in our Smock design competition for the first half of 2011. This twice-a-year competition recognizes outstanding and inspired designs submitted by our beloved dealers.